Establishing the routine of good dental care during a child’s early years is vital for healthy teeth throughout life. The same basic things we do as adults for our oral health are applicable to children, though there are definitely some variations. Interestingly, there are also differences in the education a dentist needs as well. A pediatric dentist is a specialist who has undergone extensive further training (up to 3 years) beyond the basic dental degree to bring the best possible oral health care to patients from the time they are infants till the time they are ready for college. Children are not small adults. 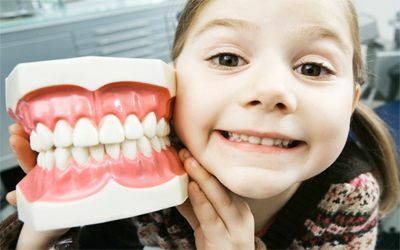 During childhood, this group of patients need guidance for behavior, growth and development, and sound advice on good habits and diet to avoid future problems with their dental health. So… When should I take my child to the dentist? It is recommended that children should go to the dentist with their parents as soon as possible. You should then take them regularly, as often as your dental team recommend. This will let them get used to the noises, smells and surroundings and prepare them for future visits. The earlier these visits start, the more relaxed the children will be. The question often arises about when to schedule a child first dentist’s visit. “First visit by first birthday” is the answer established by the American Academy of Pediatric Dentistry, and pediatric dentists agree. As surprising as that might sound, studies show that more than 1 in 4 children in the United States have had at least one cavity by the age of 4. Many kids get cavities as early as age 2, so detecting them early is a crucial step. The first visits are also important to learn about a child’s overall dental health, and lets parents discuss how to care for a toddler’s mouth, the proper use of fluoride, teething and oral habits like finger and thumb sucking, links between diet and teeth health, and ways of preventing dental accidents, among other topics. When will my child’s teeth appear? First (or ‘baby’ or ‘milk’) teeth usually start to appear when your child is around 6 months old. All 20 baby teeth should appear by the age of 2. The first permanent ‘adult’ molars (back teeth) will appear at about 6 years, before the first baby teeth start to fall out at about 6 to 7. The permanent ‘adult’ teeth will then replace the ‘baby’ teeth. It is usually the lower front teeth that are lost first, followed by the upper front teeth shortly after. All permanent teeth should be in place by the age of 13, except the ‘wisdom’ teeth. These may appear any time between 18 and 25 years of age. All children are different and develop at different rates. Early good habits and routines developed at home, coupled with regular pediatric dentist visits, can help keep your child’s teeth in great shape for life. How can I prevent tooth decay in my child? The main cause of tooth decay is not the amount of sugar or acid in the diet, but how often it is eaten or drunk. The more often your child has sugary or acidic foods or drinks, the more likely they are to have decay. So it is important to have sugary and acidic foods just at mealtimes. If you want to give your child a snack, try to stick to cheese, vegetables and fruit. Try to limit how much dried fruit you give as it is high in sugar and can stick to the teeth. Don’t give them drinks containing sugars, including fruit juices, between meals. Give them water or milk instead. For babies, don’t add sugar to their drinks, or to foods when you introduce them to solids. It is also worth remembering that some processed baby foods contain quite a lot of sugar. Try checking the list of ingredients: the higher up the list sugar is, the more there is in the product. Generally anything ending in ‘ose’ is a sugar, for example: fructose, glucose, lactose or sucrose. Thorough brushing with a fluoride toothpaste last thing at night, and at least one other time during the day, will help to prevent tooth decay. What if my child is very nervous about going to the dentist? Children can sense fear in their parents, so it is important not to let your child feel that a visit to the dental team is something to be worried about. Try to be supportive if your child needs to have any dental treatment. If you have any fears of your own about going to the dentist, don’t let your child hear you talk about them. Regular visits to the dental team are essential in helping your child get used to the surroundings and what happens there. 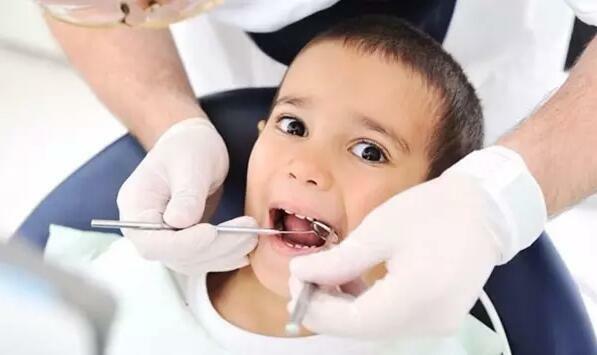 A child can be much more anxious if it is their first visit to a dental practice. Pain and distress can happen at any time and it is important to prepare your child with regular visits. At the New Age Dental Clinic in Tijuana our teams of specialists provides affordable, comprehensive dental care focused on the unique needs of children from 6 months to 18 years old. To prevent future dental problems of all kinds, the American Academy of Pediatric Dentistry, American Dental Association, and American Academy of Pediatrics recommend that a baby’s first oral exam should be no later than his/her first birthday (6-12 months old). New Age Dental Clinic provides dental services for children with special needs at New Age Dental Facilities in Tijuana for Patients with Special Needs throughout Baja California, Mexico. For more information call (760) 298 3039. Diego Rivera #2351, Local 506, Tijuana, B.C. New Age Dental © 2018 All Rights Reserved. SEO Service provided by KatRank.